‘Midnight Dreams’ will be C215’s second solo show at the Signal Gallery. In the show, the artist is moving away from reproducing works whose origins are on the street. He is developing a style that has more fantasy and independent imaginative force. 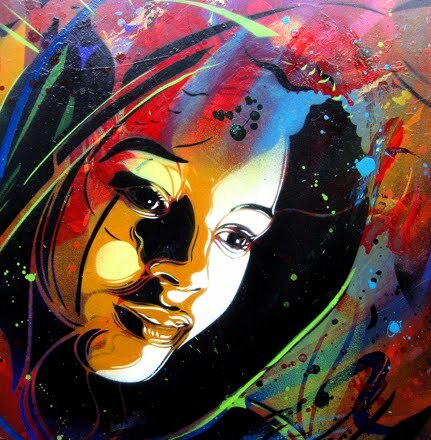 Inspired by colourful memories from his childhood in Orleans, the work that will be shown will retain the fabulous use of intricate stencil work, with a freshness, lightness of touch and brilliant use of colour, that has not been appropriate in his street work to date. The artist has produced a dazzling new body of work that is sure to impress his fans and is bound to gain him new admirers.